Help Support Blind Cats & Kittens! 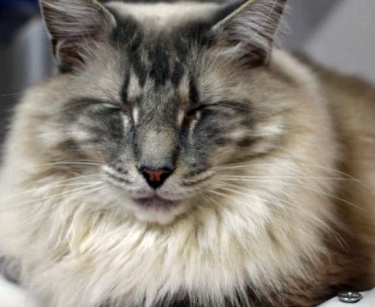 When blind cats are placed in shelters, their chances of finding a home are very small… and they risk being euthanized. Blind Cat Rescue is an amazing group that provides a sanctuary for blind cats that have become unadoptable. They’re given vet & medical care & all the love they need to live out happy lives. This much needed care is expensive and ongoing as these wonderful cats live out their lives at the rescue. Please help! Just $5 helps care for blind cats and kittens in need!